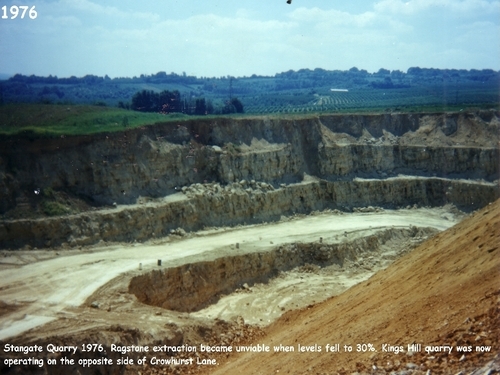 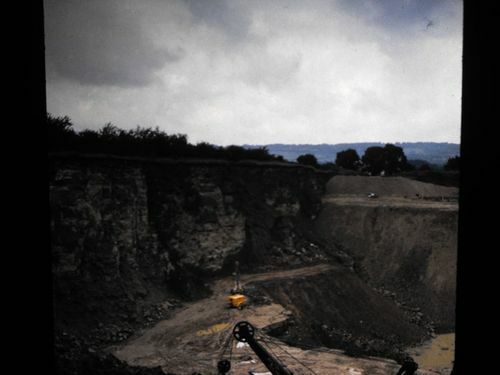 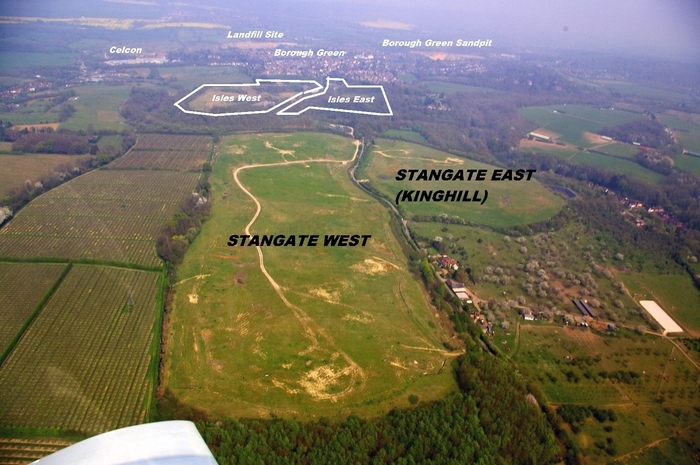 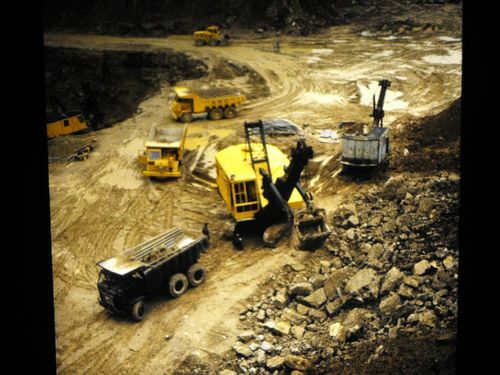 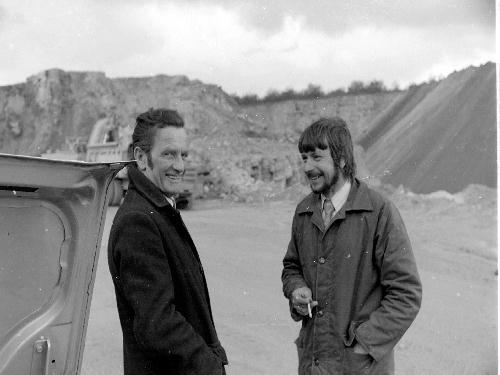 Stangate Quarry was opened as quarrying moved south from Isles Quarry after the war, and opened south of Mill Lane in the late 50s. 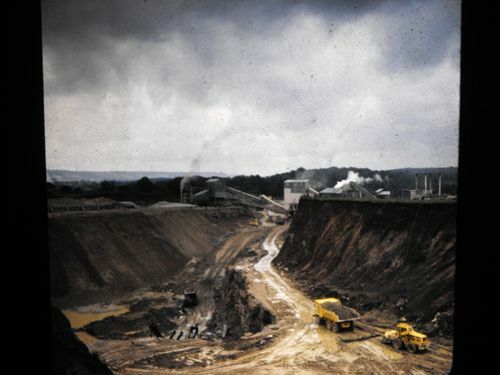 This first picture, one of three by Robert Mitchell, the famous fruit farmer next door, shows the Stangate operation looking East.The 4 pillars on the right are crusher, stone dryer plant in the centre with the steam, with the tarmac plant to the left. 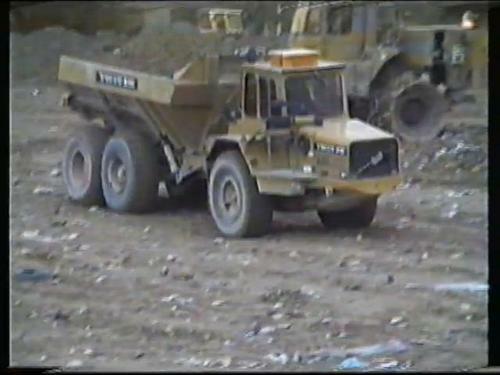 In the foreground is a Foden halfcab 6-wheeler loaded with stone. 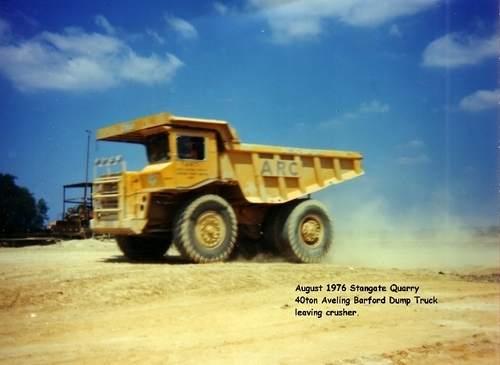 An Aveling Barford 40 tonner, bought in when the quarry went to 16 hour working in 1976. 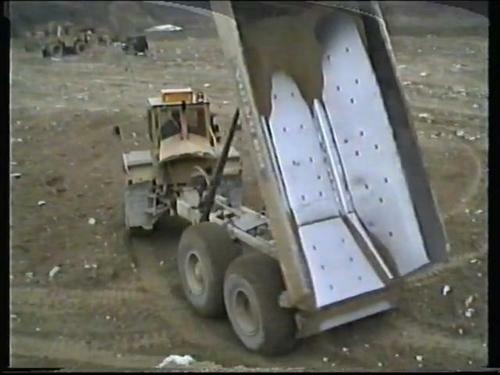 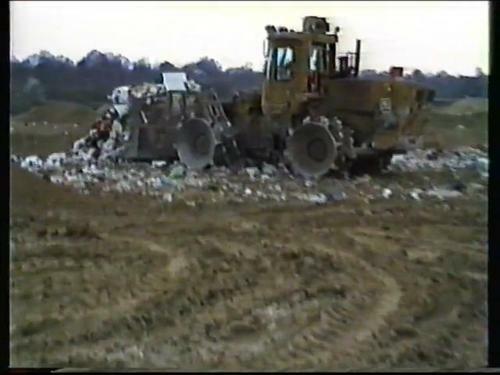 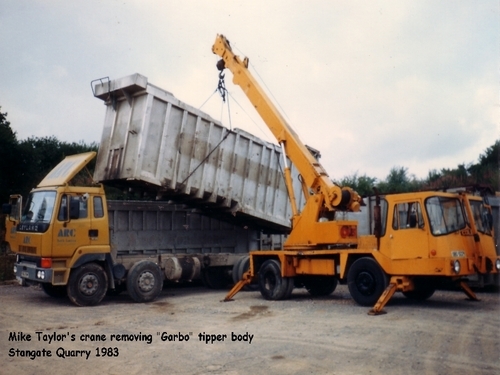 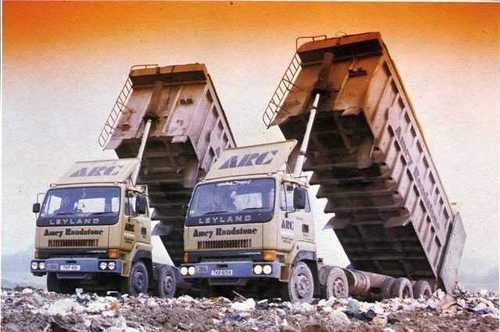 Below : two garbos tipping into the landfill, pic courtesy of Trucknet. 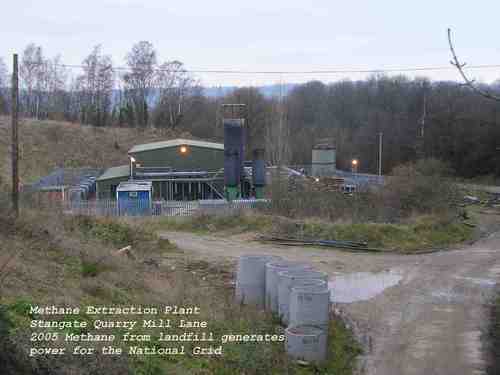 Below, Infinis Gas Utilisation plant using landfill methane to generate electricity.